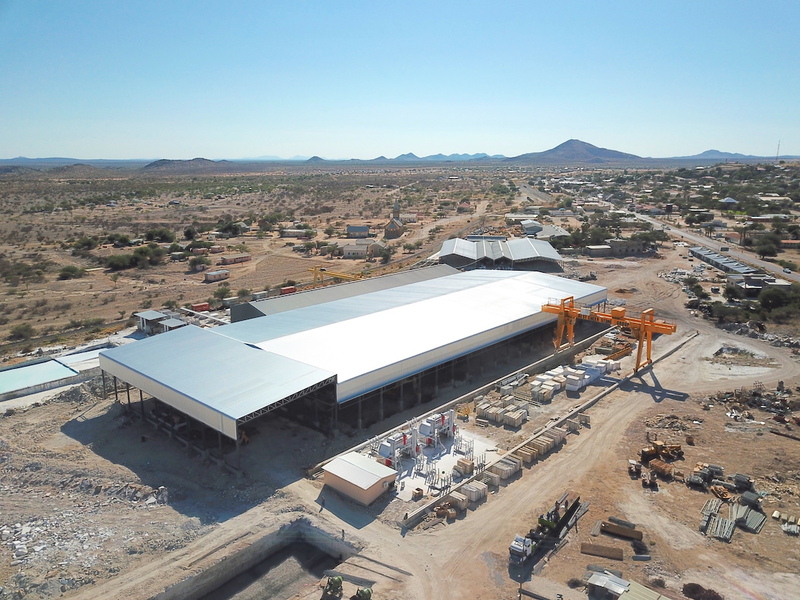 Project Showcase: Design and Supply turnkey steel solution for Best Cheer Stone’s new Marble Processing Plant in Karibib Namibia 9200m². Best Cheer Stone’s exclusive quarries in Namibia consistently deliver high-quality, exotic stone at affordable prices. Best Cheer Stone Exclusive Quarry-Owned Materials include 9+ Exotic Granites, and 4+ Unique White Marble. The marble table mined in Karibib is currently transported via road to Walvis Bay in complete blocks and then cut in into an infinite number of products in blocks, slabs and mosaics. Their need for expansion of their production space was due to the fact that there is a lot of waist involved in processing the marble. 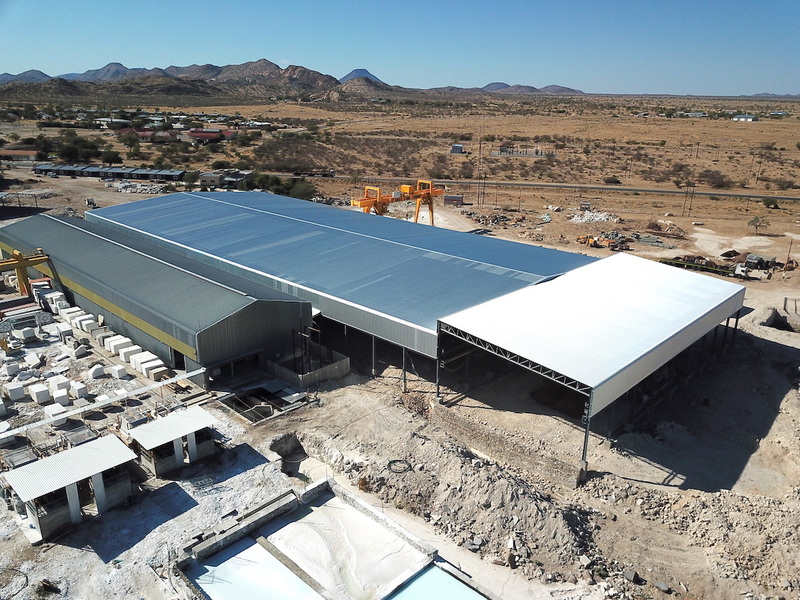 With a new facility in Karibib the marble will be processed onsite into the different products and then transported in containers which is a much more efficient process. The global demand has also increased. 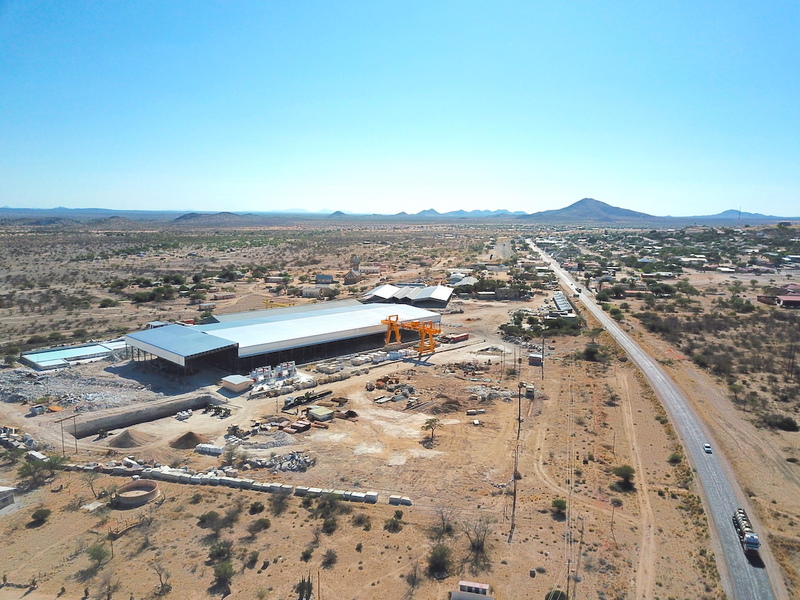 LEMCO was contacted in Feb 2018 to quote for Best Cheer Stone with the expansion of the new processing plant in Karibib. On first contact Best Cheer Stone provided LEMCO with a set of pre drawn plans, requesting LEMCO’s to quote on the design. As LEMCO specializes in turnkey steel solutions we were able to value engineer the design and develop concept drawings within 72 hours and personally present to Best Cheer Stone Marble within 3 days at their premises in Walvis Bay. 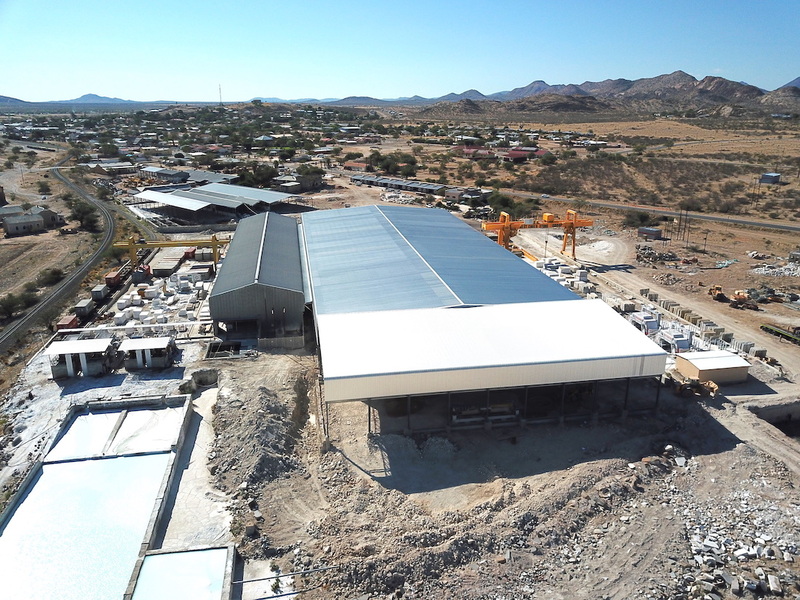 From there on our relationship evolved and we were awarded the project for the new marble processing facility in Karibib. A 9200m² warehouse designed to house overhead cranes over the full floor area of the structure. Construction started on site in August and the project has since grown to include another 3 structural steel structures which has been added onto the original building. Thus far the project was successful and to satisfy the clients required programme an extra effort is put in by working well into the annual builders break. LEMCO specializes in turnkey structural steel solutions through design, fabrication and the erection of steel structures.